Still regarded as one of the greatest guitarists of all time, in four short years Jimi Hendrix revolutionised popular music. Classic Hendrix is the most comprehensive visual record of his career to date. 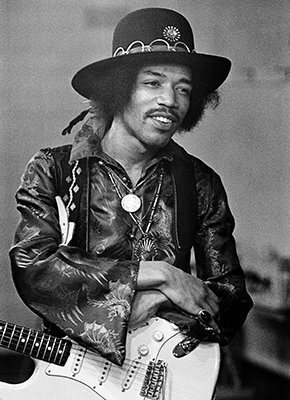 Beginning in 1966 with his newly-acquired band, The Jimi Hendrix Experience, the book concludes with Hendrix's final concert appearance on the Isle of Fehmarn, shortly before his untimely death in September 1970. In celebration of the music and genius of Jimi Hendrix, Genesis is offering free worldwide shipping on Classic Hendrix. Order before December 2017 to receive your copy in time for holidays. To find out more about Classic Hendrix and order your copy, click here.